Tune in to Single Wives Radio as Koereyelle and V give you the latest in celebrity and relationship news! We have three very special guests joining us in the studio today! 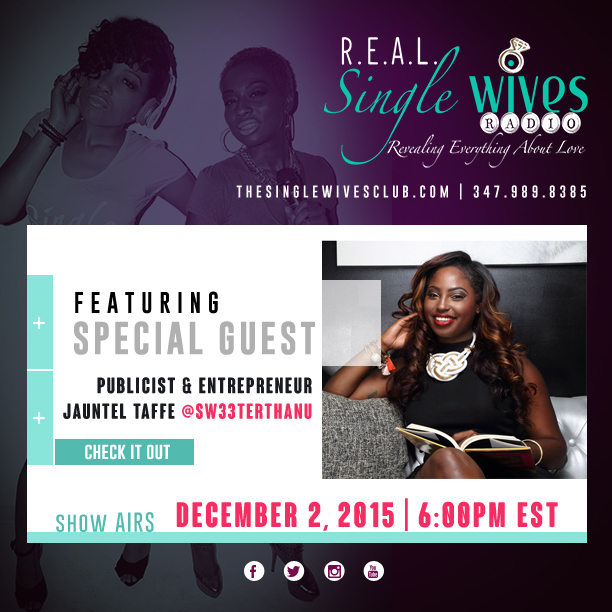 First, we’ll chat with Publicist and Entrepreneur Jauntel Taffe! Then, we’re chatting with CareerTipper.com Creator Michele Badie about her involvement with the How to be a Happy Wife Campaign! Last, but certainly not least we’ll catch up with Tiffany Janay at 6:45! Join us for a conversation on the latest and greatest in life and love! Yay! @TheSource featured Koereyelle’s WERK101!